Dissolve the agar-agar in the coffee infusion, put on fire and reach the boiling point with the mixture (the agar-agar will be activated). Lay the jelly about 5mm heigh in a plate and let it cool, then keep the jelly in the fridge. Open the foie gras in two parts, take out the nerves and let it marinate with the cognac, the salt and the cane sugar for one night. Roast very quickly the foie gras in a pot, then pass it through a sieve and put the mass in a bowl placed on ice in a box. Make the foam with the mass adding the warm liquid butter very slowly. As soon as the foam is ready, put it in some silicon shapes and cool them in the fridge. 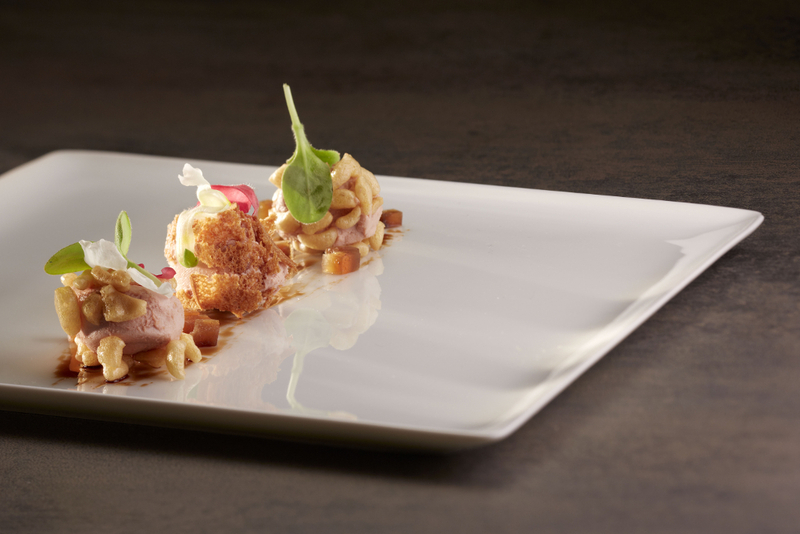 In a flat plate, put in the centre the foie gras foam, thin slices of pan brioche and some coffee jelly cubes. Decorate with flowers for food.